Prepare the chia seeds the night before by mixing together chia seeds, plant-based milk, vanilla extract and agave syrup in a jar, close the lid and refrigerate overnight. In the morning, place in blender the banana, blueberries and soaked chia seeds and blend until smooth. 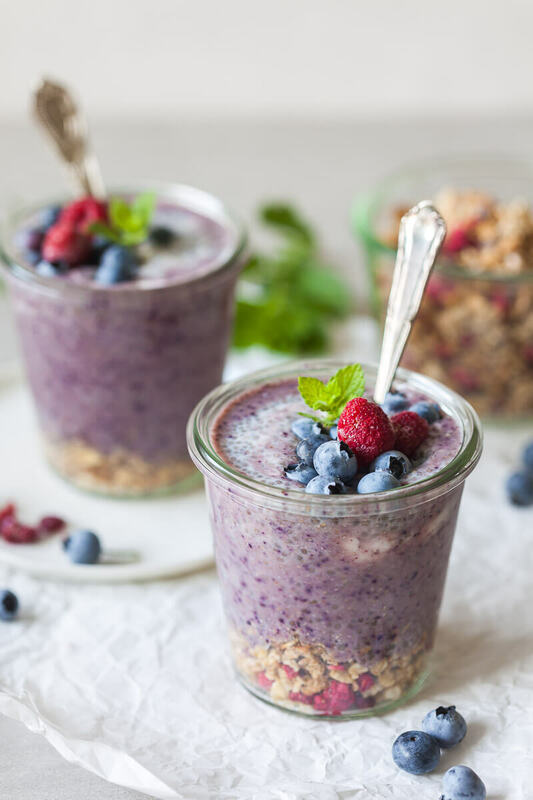 In jars or glasses, place a tablespoon of granola in each jar, pour over the blueberry smoothie chia pudding and top with fresh or frozen berries. Optionally add a tablespoon of plant-based yogurt and serve.